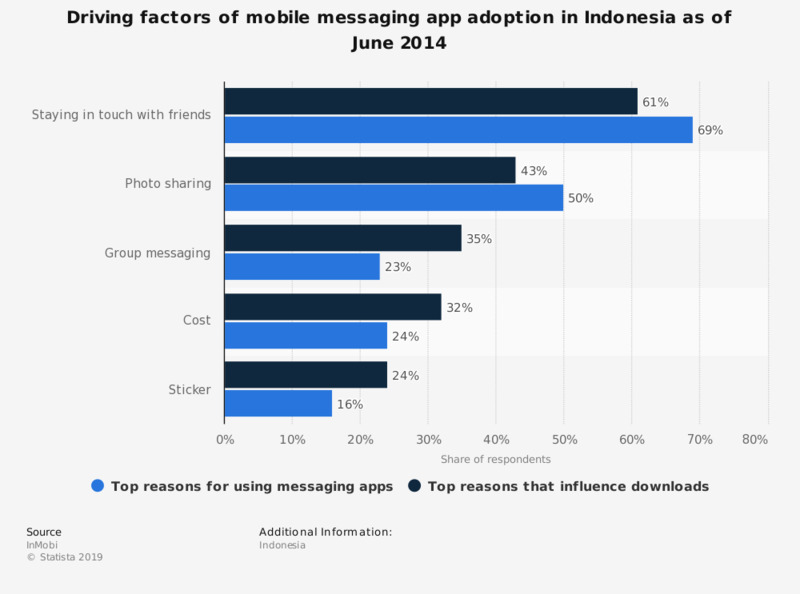 This statistic highlights the driving factors of mobile messaging app adoption in Indonesia as of June 2014. During the survey period it was found that 69 percent of respondents used messaging apps to stay in touch with friends. Statistics on "Automotive industry in Indonesia"